Smarter burst onto the smart appliance scene last year with iKettle and Smarter Coffee, the company's Internet-connected tea kettle and coffee machine lines. The British startup is back at CES with three new kitchen gadgets: Smarter Mats, Smarter Detect, and Fridge Cam. Smarter Mats figure out how much of a product you have left in your fridge or pantry. Smarter Mats tell you when you’re running out of a food item in your fridge or pantry. The mats work with the Smarter app, which lets you scan the item’s barcode so the mat can determine what the product is and how much of it remains. Detect is a wireless wall-mounted hub for your kitchen that listens to everyday noises and learns when and what to notify you of. For instance, Detect can tune out footsteps but identify when your dishwasher stops running or your refrigerator door is still open. You use the Smarter app to identify sounds and teach Detect what they are, then choose which notifications you want to receive. Fridge Cam is self-explanatory—just attach the suction-mounted camera to the inside of your refrigerator and use the Smarter app to take snapshots of its contents so you’ll always know what you have in stock. 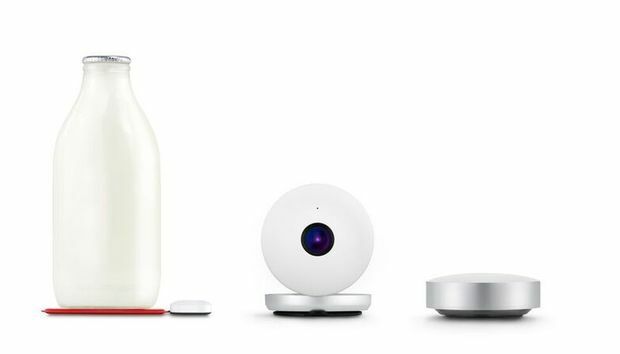 Smarter plans to ship these three new smart kitchen devices this summer.